Calculus is an essential mathematical tool used by scientists in many fields -- from physics to artificial intelligence. So, what is it? Calculus is the study of change. If the field can be reduced to its two most fundamental ideas, these are the concepts of the derivative and integral. 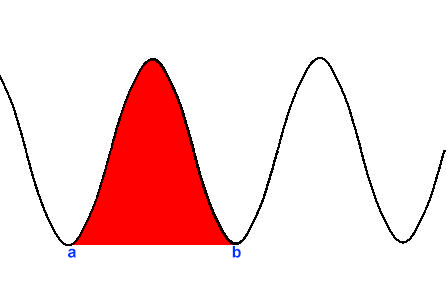 Differentiation is the process of computing the derivative of a function. The derivative of a function refers to its slope. It is the rate of change of the function. 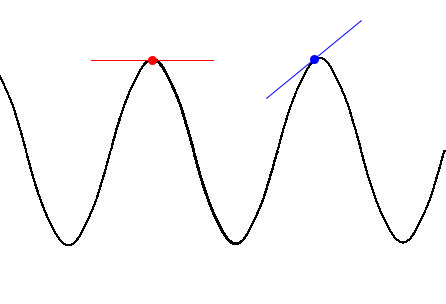 Further study of calculus involves learning techniques for computing the derivative of different functions, such as y = x² or y = sin ø. One can think of "dy" and "dx" standing for "difference in y" and "difference in x," and so this notation isn't all that confusing -- it means determine the slope of the function y! The derivative of a function tells you something about the function at that point. For example, a large value means the slope of the function at that point is steep -- the function is changing quickly -- while a lower value suggests it is less steep -- it is changing less quickly. Similarly, the sign of the derivative tells you whether the function at that point is increasing or decreasing. Positive means it's increasing, and negative means it's decreasing. Integration is the process of computing the integral of a function. The integral is the area under the curve described by a function. The "S" shaped symbol stands for sum. Remember, you can think of "dx" as being some piece of the x axis. And so, we can think of this notation as saying, "take the sum of all pieces of the function sin x from the point a to the point b on the x axis." Integration is simply the summing up of all the area under a curve over a given range, thus it represents the area under the curve. Compared to differentiation, integration is often a more challenging process, sometimes requiring quite a bit of creativity. Perhaps the most magical thing about calculus is the relationship between derivatives and integrals. Turns out, these two mathematical concepts are related in that they are inverses of one another. Indeed, just like one can use division to "undo" multiplication, one uses integration to "undo" differentiation of a function. The tools of differentiation (rate of change) and integration (area under the curve) enable us to quantitively describe phenomenon in science, engineering, economics, and more. These ideas were invented/discovered by Isaac Newton and Gottfried Leibniz, who we can thank for enabling much of the progress of these fields, which would be shadows of themselves without the ideas of calculus.